Salzman (center, in orange) at a The Founding Moms' Exchange event in Elgin, Ill., in March. Jill Salzman was already juggling two businesses and two kids when she launched The Founding Moms' Exchange on Meetup in 2009. She wanted to help mom entrepreneurs like herself commiserate, swap secrets and empower one another. The Oak Park group grew rapidly -- within six months, it had 200 members. "One of the women who was attending said, 'I hate driving the five miles [to Oak Park], so let's open one in Chicago,'" recalled Salzman. "And then I thought, 'Let's open one in L.A. where I used to live, then in New York, where I'm from.'" Fast forward to 2014. Salzman oversees offline Meetup groups in 43 cities and nine countries, totaling over 8,000 members. In January, she began monetizing her business through efforts like the Founding Kit, which helps entrepreneurs with everything from logo design to domain names. The Founding Moms has also expanded to include podcasts, newsletters and an online community where members pay $37 a month to virtually connect with like-minded women. 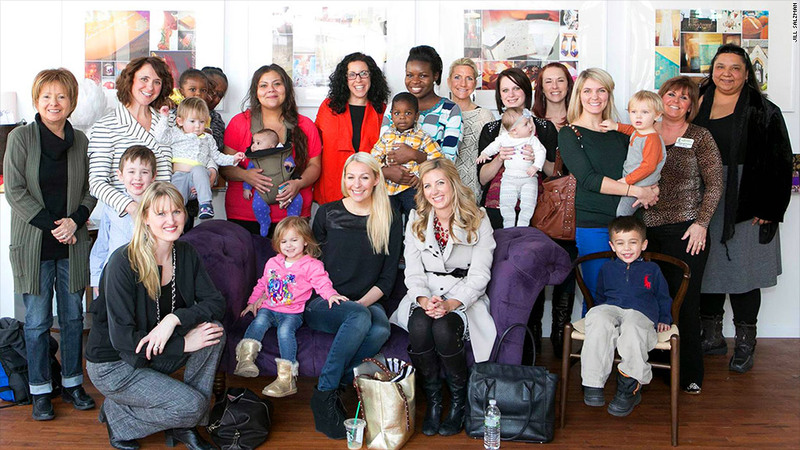 Salzman will host The Founding Moms' first ever conference in Chicago on October 6.